I am pleased to share with you this interview with Darcy Troy Pollack of Zig Zag Zoom. I reached out to Darcy after reading about the release of Tree Story, a mobile game that combines virtual tree care and on-the-ground tree planting. We've played the game; it's fun! Download Tree Story from iTunes. It will be available for Droids next month. Can you provide a brief bio? 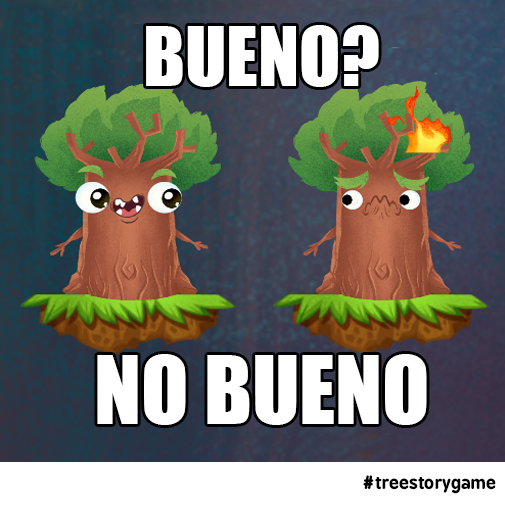 What was your experience with the app/game space - if any - before engaging with the Tree Story game? Believe it or not, I had no experience with apps or games prior to joining Zig Zag Zoom! I started my career in investment banking, then spent some years in the film and location-based entertainment businesses, finally ending up as a consultant to early stage start ups. I was a consultant when Z3 found me, but I fell in love with the idea of planting trees through its fun mobile game Tree Story… and then with the broader idea of "changing the world one game at a time”… For anyone who would like to know more, they can check out treestorygame.com for the game and zigzagzoom.com for the company. What was the impetus for developing Tree Story? And which came first - Zig Zag Zoom or Tree Story? Can you describe the development process? Approaching and securing partners? Funding? Staffing an app company? This is a tough question to answer! Each game is different… sometimes we have a great game, like Tree Story, and we look for partners who are a good fit. For example, our partners in Tree Story are the US Forest Service, Arbor Day Foundation, The Nature Conservancy, Project Learning Tree and Alliance for Community Trees. But with other games, we may identify the partner first and develop a game specifically for them. We have a couple of amazing partners that fit into this category… but I can’t tell you about them yet! We have been fortunate to have had introductions to best—in-class organizations. The strength and talent of our team, who almost all come from Disney Interactive, have helped to bring those partners on board. How many trees have been planted since the launch of the app? Thus far we have planted 11 groves or forests all across the country -- from a school planting in Washington DC to wildlife habitat reforestation in Michigan to a fruit tree planting in Portland. And we have lots more coming, including international plantings in places like Brazil! There's been a recent update to the game. Can you talk  about the new features? What was the decision-making  process behind these features? Were they incorporated based on user feedback, for example? Screenshot sharing: Players can show their friends screenshots of their adorable trees! Taking care of planted trees: Players can now continue to groom and play with Treelings already planted in The Grove. Flappy Seed: Players can navigate a flying seedling through the forest to earn extra in-game currency. Great for players looking for more of a challenge. New vanity items are available for purchase. We will also be adding new mini-games, more clothes and other items to choose for your trees, new Groves for your trees, and much, much more. But the biggest news is come July Android players will be able to play Tree Story as well. Are  there other Zig Zag Zoom apps in the works? Will they have an environmental focus? YES! We have over a half dozen additional games slated for the next six to nine months. Some are environmental, but others address issues like fighting poverty and saving endangered species. We also are launching a platform called mobiliz3 that will allow players to accumulate mobiliz3 points by playing a variety of mobile games, not just Zig Zag Zoom games. Much like earning frequent flyer miles, these mobiliz3 points can be allocated to causes the player cares about… and that translates to real dollars for those causes! Look for that soon! Thank you for taking the time to talk with us about Tree Story and Zig Zag Zoom, Darcy.